Leah Reena Goren is a talented illustrator and pattern designer based in Brooklyn, NY. She just graduated this year from Parsons School of Design, but she already has an impressive portfolio as well as a very personal style. She illustrates beautiful patterns that then become lovely dresses, accessories, prints, scarves and whatever her imagination suggests her to do. Looking at her works it’s easy to tell that she loves the sun, animal world and flowers. Her patterns are all about beautiful floral themes, cute little animals, pastel colors and a dreamy atmosphere. 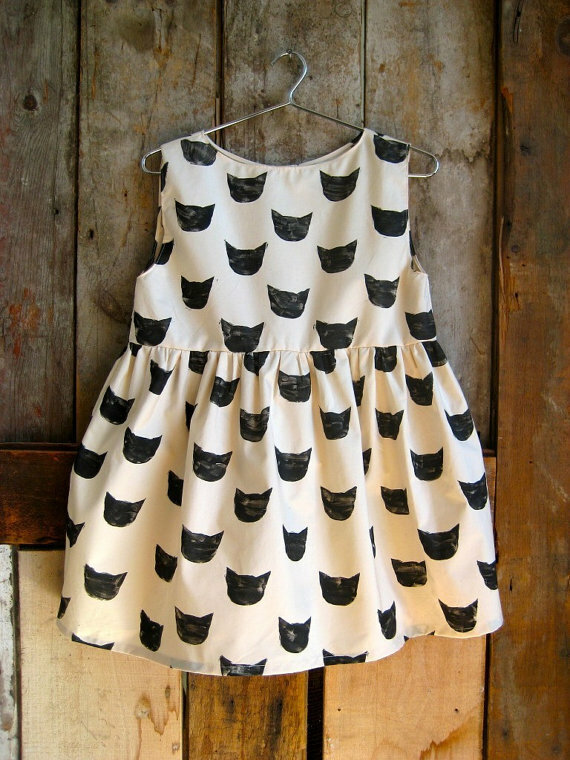 I really love the little dress with the cats pattern, any cat-lady would be happy to wear it. We’ve cherry-picked a number of products from creative designers such as Leah. Check out our Kid’s Clothes Collection! Don’t forget to check her blog out, it’s a kind of beautifully illustrated journal with a great dose of visual inspiration.